Toast the pumpkin seeds on a baking tray for 3-4 minutes at 200˚C/gas mark 6, set aside to cool. Place the butter and half of the dark chocolate in a bowl and melt together using a bain-marie or microwave. Mix the egg and vanilla together, then add the sugar. Add to the melted butter and chocolate. Sift in the flour and fold through gently until just combined. Add the remaining chocolate pieces and mix well. 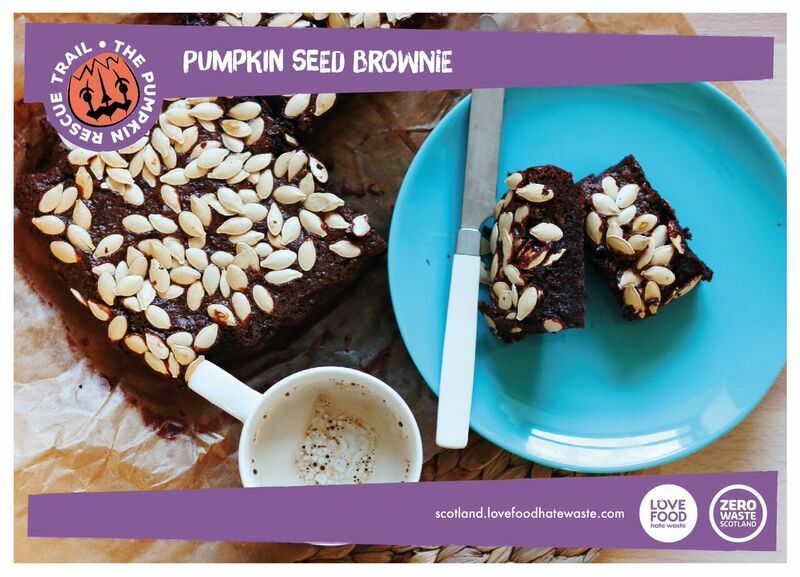 Pour into a lined, 20cm square baking tray and top with the toasted pumpkin seeds. Reduce the oven down to 175˚C/gas mark 3 and bake the brownies for 25 minutes. If the middle is still wobbly, place back in the oven until just set. Remove from the oven and allow to cool completely before turning out and cutting into squares.